Buenos Aires has long left the horrible crisis of 2001 behind and has risen from its ashes to display in the last couple of years levels of energy that very few cities in the world can propose to their visitors in search of strong emotions! A deliciously wild survival rage, totally crazy sensuality, wild nights alive with sensuous tango rhythms, extreme softness and delicious nonchalance and nostalgia …..
A discovery tour of the many streets and quarters. What a feeling when, barely arrived in the old quarter of San Telmo, you find yourself seated, as if by magic, in the oldest bar of the neighborhood, the café Dorrego, whilst sipping a cafè con leche with a medialuna (croissant) for your breakfast. For those who feel like it, this is where the old Buenos Aires of the 30’s, 40’s or 50’s…let’s say the eternal Buenos Aires suspended in time presents itself to you. It takes at least a few hours seated in this old bar or on a chair in any of the other bars along the Plaza Dorrego to catch, or try to catch, the feeling of nostalgia of the place. A few fleeting notes of Tango in the distance submerse you in a turn of the previous century mood where young and old hum along with studied nonchalance to tunes by Carlos Gardel or other Tango geniuses. It is a great experience, both night and day, to wander around the little terraced streets, to go book or antique hunting in the little shops where a whole past era is exhibited (materials, old records, postage stamps, old objects with plenty of charm, posters of Che Guevarra…). 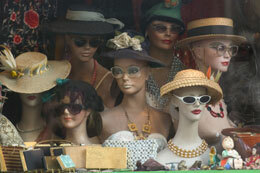 The Sunday morning flea market with its warm, bohemian ambiance is always very animated so you can make a day of it. In the early evening it is possible to witness on the square an impromptu Flamenco spectacle whilst looking at the sky and loosing yourself in the rhythm and the plethora of sounds…San Telmo is the quarter where a great many old cafés are concentrated, where one still senses the old history, the poets of the past, the intellectuals of times gone by. And let’s not forget the Bar Seddon (Defensa 695), the Bar Sur (Estados Unidos 299) worth the detour. It is mainly aficionados of the period when the real tango was the only music, that can be found in these places, or the well-informed tourists who want to immerse themselves in the part of Buenos Aires that is a bit forgotten and listen to a concert or even try a bit of tango themselves with a maestro straight out of a fairytale. A totally different scene at Puerto Madero! The walk from San Telmo is a delight. In little time and by following the indications of the Portenos who clearly enjoy giving directions to the curious visitor, you will find yourself in Puerto Madero! A few years ago this part of Buenos Aires with its long docksides along the Rio de la Plata, was no more than mostly abandoned docks. Today, and after major refurbishment works, it the most expensive and also the most ‘fashion’ area of town! Diplomats, affluent families and fusion cuisine restaurants in carefully constructed contemporary interiors have now taken up residence. This is where one comes on evenings or on the weekend for a romantic walk or a jog with friends along the quaysides. Here one can discover the audacity of architects and designers who plied their trade on ancient houses dating back to the English era. It is also here that one can admire the famous Puente de la Mujer (Bridge of the Woman) a superb creation of the Spanish architect Santiago Calatrava and which actually symbolizes man and woman in the throes of tango. Ideally one chooses a night of full moon…when the sky is endless and the millions of stars shine brightly. I warmly recommend then to go to the restobar Anexo (Avenida A.Moreau de Justo 202) or la Cabana Las Lilas (Alicia Moreau de Justo 516) steeped in tradition. On the menu: a choice of meats (Asado), parrillas (barbecued meats) great in size and taste. For more addresses, go to www.puertomadero.com. On the other side of the river are situated the famous hotels that have recently been highlighted in the most prestigious interior decoration and design magazines. First there is the Hilton (http://www1.hilton.com) the first hotel to open shop in this area! Then there is Hotel Madero by Sofitel (www.hotelmadero.com) worth the detour! And then there is Faena (www.faenahotelanduniverse.com), created from A to Z by Philippe Starck: an ambiance and decor fit for a theatre, trendy music and supreme elegance in every detail. To be visited for the unique experience of taking the aperitif by the pool or just to admire the outrageous interiors in Arab-Latin style! Worth noting: in order to celebrate the Bicentennial of the May Revolution (the Argentinean Independence), another old docks area will be completely converted under the name «Porteno Art District». Further down the Avenida Olga Cossettini, Design reaches an absolute peak at the Café Resto. At n° 1545, Tingo (terrace on the Rio de la Plata), open until 2 am, proposes delicious dishes of mutton or marinated salmon with ginger and lemon. For the Japanese cuisine aficionados, Itamae Sushi (www.itamaesushi.com.ar) is the place to be! Do also try the Fresh Market Café Resto situated Boulevard Asucena Villaflor, corner of Av. Cossettini. T : 00 54 11.57.75.03.30. If you have some time left, it is worth your while to go for a walk along the Costanera Sur, especially on a Sunday when all sorts of interesting personalities and Argentinean families come for a stroll. Choripan, Vaciopan and Argentine sandwiches are for sale on little portable shops of a bygone but still charming era. A little further down the road the magnificent Ecological Reserve is a harbor of peace for cyclists and nature lovers (200 species of birds…) Av. Tristan Achaval Rodriguez 1550. Situated on the North side of town, this is the posh area by excellence, where the nonchalantly elegant Argentine elite can be found …Old habitations in French style, Embassies (note the magnificent Embassy of Brazil!) and luxury boutiques vie for space along the leafy avenues. The Av, Alvear is best discovered during a walk, the same goes for the famous Alvear Palace Hotel and its garden where I recommend you partake of breakfast (www.alvearpalace.com). The Nuestra Senor del Pilar church is a must on the sightseeing tour (baroque colonial church dating from 1732) as well as the Recoleta Cimetery where Evita and many other celebrities lies in peace. Sculptures, gardens…the place is so beautiful and special, one can wander around for hours. (contact for guided visits : T: 4803 1594). Do not miss out on the weekend market at the Plaza Intendente Alvear with its stalls full or artifacts, its special ambiance and all sorts of objects that can be found there. Are you more the sporty type? The go for a serious excursion along the Avenida del Libertador where certain architectural creations will grab your attention. First there is the giant tulip (Floralis Generica) with aluminum and iron petals that open to the light of the day and close at night. This architectural masterpiece is the work of the distinguished architect Eduardo Catalano. On the same avenue you will also find a modern building shaped like a mushroom that houses the National Library and the National Museum of Decorative Arts (Av.del Libertador 1902). Finally, The National Museum of fine Arts (www.aamnba.com.ar) with permanent exhibits of major Argentinean artists and international Masters such as Renoir, Gauguin, Monet. Places to know in the Recoleta quarter: the Park Hyatt (Av. Alvear 1661 T : 00 54 11 51 71 12 34) recently renovated with superb gardens, the main building having belonged to an ancient French aristocratic family, the Duhau Family. The Sofitel Buenos Aires (www.sofitelbuenosaires.com.ar), the trendy Patio Bullrich shopping center mainly local labels are on sale (Etiqueta Negra for the gentleman, El Nochero (www.elnochero.com) (leather boots made to measure!). Just op the road is the Artesania Grafica Larreburu (www.larreburu.com.ar) where the local High Society has its calling cards engraved. For lovers of contemporary local art, the Art Hotel (www.arthotel.com.ar) will definitely do. The hotel which also serves as an art gallery is situated on a century old house. On the walls: frescos, photography by local artists. Above, 36 rooms decorated with relaxation in mind in beautiful materials such as wood, glass and rich fabrics. True, today the Boca quarter has become very touristy. However, one must visit the area for a few hours, but take care to stay on the busy streets as this poor and popular quarter can be dangerous when one strays from the main streets. 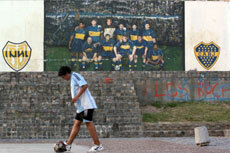 It was here that – in the middle of the 19th Century- Spanish and Italian immigrants settled along the river Riachuelo. They became the workers for the economy’s most prized industry: the meat industry. 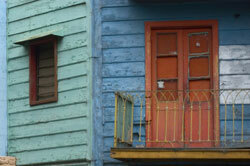 Little painted houses make up the charm of the area, paint they got from the leftover paint for the boats. 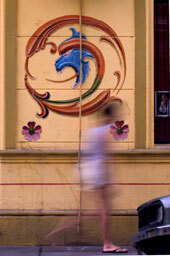 The most famous street in the barrio is Caminito where Tango dancers dance along for the bemused and amused onlookers. It is said that the first movements of the Tango were born right here from the extreme nostalgia of the new immigrants in this country at the other end of the world. …Do open the doors of the Museo de Bellas Artes de La Boca (Av. Pedro de Mendoza 1835) to discover the famous painter Quinquela Martin, a national institution, whose creations speak mainly of the La Boca area. Careful, Palermo is very large! One has to distinguish between Palermo Chico, Palermo Soho, Viejo and Hollywood !…Each has its own charm and peculiarities. Let’s start with very elegant Palermo Chico. Here green gardens and parks with lakes are the favorite places for families to come for a walk on a weekend. The Zoological Garden in this quarter is like the Botanical Garden Carlos Thays where one can stay for hours and admire the beautiful rosebushes whilst enjoying the sun. More to the north is the newly developed quarter of Las Canitas. It is the place to be with an area of little alleys with trendy restaurants and bars. It has become the assembly point for the trendy youths who come here to have fun, drink and slow dance to the latest music: many candlelit terraces, asado at good rates! 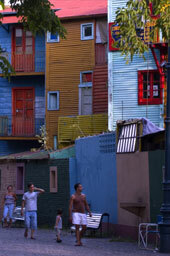 (www.bobohotel.com), the fun of living in Buenos Aires….Lovely little houses with great boutiques vie for place on the paved and shadowy sidewalks. One could walk around forever in this great place not just during the day but also in the evening when little terraces invite to partake in a glass of wine or champagne. Casa Cruz (Comida Urbana Argentina) Uriarte 1658 T: 45 11 4833 1112. If you are into decorating the shop DesdeAsia ( www.desdeasia.com) is worth visiting. Actually the whole Av. Malabia is crowded with shops and charm and worth the visit! Last but not least: Palermo Hollywood stretching out north of the railway line. More and more to the taste of artists and movie people, the area is fast developing and is worth the detour, especially at night. New are the «boutique hotels»; the small hotels on a human scale and with a very personalized welcome. The Hotel Costa Rica (www.hotelcostarica.com.ar) is a heaven of peace and tranquility. Or the Costa Petit Hote,l (www.costapetithotel.com) good for a unique experience in a unique environment. The Vain (www.vainuniverse.com) is also to be discovered. In Palermo also discover the restaurant of the Malba Museum (www.malba.org), the Museum of Latin American Art with works by Frida Kahlo, Diego Rivera etc). I would like to propose a very personal itinerary that will immerse you completely in the reality of Argentina, well, of Buenos Aires definitely! Careful this will take you at least a whole day…Let’s go! Start from the Abasto Shopping and walk down the long Av. Corrientes until the Obelisco. This is a fascinatingly charming walk that takes you by cinemas and theatres that bring to mind the golden age of Buenos Aires when the city rivaled Paris…Take your time to observe the crowd moving up and down the Avenida. At the Obelisco, take the Avenida de 9 de Julio («la mas ancha del mundo»), the «widest» avenue in the world. Stroll to the Avenida de Mayo and walk along the bookstores, the old cafes, admire the beautiful architecture of the old buildings. Look up so that you do not missanydetail of the ‘Microcentro’ quarter as it is called and definitely make a stop for tea at the famous Café Tortoni (www.cafetortoni.com). Founded in 1858, it is the oldest cafe in the country where artists, politicians and cosmopolitan intellectuals gathered. In the evenings one can go there for a tango show but you better make reservations beforehand as it is a most popular place! At the end of the Avenida de Mayo, you walk onto the voluptuous Plaza de Mayo where I suggest you stroll one of the grass lawns. We continue our walk towards the historical buildings such as the Cabildo (Town Hall) dating back to the middle of the 18th century. The Casa Rosada (Hipolito Yrigoyen 219) , brings back memories of Peron and other politicians who have made their marks on the country. Finally, spend a few hours at the superb Galerias Pacifico (T: 5555 5110) with vaulted ceilings painted in 1954 by Antonio Berni, Juan Carlos Castagnino and Demetrio Urruchua just to name a few. On the 3rd floor is the excellent Centro Cultural Borges and the Tango Academy where foreign visitors can go for dance classes every day. Finally, do not leave Buenos Aires without having seen the bookshops El Ateneo with their magnificent decors! Forida 340, Florida 629 and Av Santa Fe 1860. Good to know: the Av. Santa Fe is the «mas querida de los Argentinos… !» (The best loved by the Argentineans! ), you can easily spend a day walking up and down this avenue! It is really worth it !! Just like the Av. Florida where beats the« corazon y l’alma caliente de los Argentinos ».. ! Che ! There is no place in the world that projects at the same time electricity and nostalgia, sensuality and timelessness like a « Milonga » argentina…It is a unique experience not to be missed when in Buenos Aires. Young and more mature, seasoned dancers and neophytes all gather there in a highly charged atmosphere, a smile on their lips and blood charging through the veins! Careful, you must not go there before 1 in the morning…earlier there is nothing happening…. Wear 3 quarter length skirts and comfortable high heels and throw yourself in the adventure…it’s priceless! For a personalized visit to the Tango places in Buenos Aires, contact Sophie Guillouche T: 00 5411 4932 7525 or go to www.passiontangotour.com.ar. She has lived in Argentina for a number of years and will take you along to secret places of the beaten path! The place I preferred ! What ambiance…I had an unforgettable night. Be prepared to stay on until the early hours and even take breakfast there! This milonga has a mainly young clientele; go on a Thursday, it’s crazy! Beautiful decor, quality concerts and tango instructions for all levels! Visit for its historical value still present: elegant moldings on the walls, high ceilings, frescos, etc. Totally different feeling at Gricel, worth the detour. The owners, Gustavo Chidichimo and Virginia Martorani, are adorable and children of «milongueros» since generations; Friday is the best day for a visit. Also unique. Famous Salon since a long time…Tango Maestros meet up here. A large room with plenty of small tables. Argentineans and foreigners, all high level dancers meet here on weekends. It is better to make reservations to guarantee a seat! Also worth discovering. 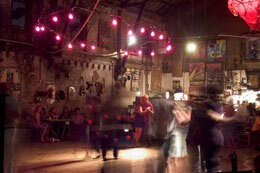 Even not so good dancers are admitted here and can try to dance in a bohemian atmosphere, young and great fun. Special décor with lanterns on the walls and the ceiling, wooden chairs scattered in the room, a public that is mi argentino, mi estranjero but all passionate about the music and the dance. Buenos Aires also is the place for beautiful tango performances. You are seated with a glass of champagne and a typical Argentinean meal served with class. Then the lights dim and announces the start of a performance of about 1 hour. 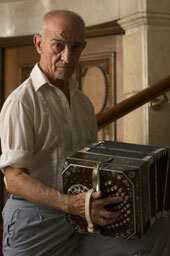 Of the many places to know, The Piazzolla Tango is a reference. It’s is contemporary tango just like Piazzolla…Florida 165/San Martin 170. www.piazzollatango.com . Reservation needed. The Complejo Tango, on Av.Belgrano 2608 www.complejotango.com.ar has renovated the different floors and charming hotel rooms. The performances, a little bit touristy, are preceded by a tango course. As for Viejo Almacen www.viejo-almacen.com.ar, the ambiance there is more intimate as the room is smaller. Excellent performance and great restaurant in a beautiful decor. organized by the Latinoamericana de Turismo Agency. When ? FROM OCTOBRE 28 TILL NOVEMBRE 8 . What ? 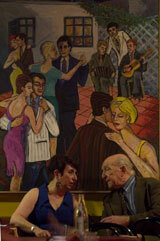 « A trip through Buenos Aires vibrant with tango sounds under the watchful eye of Gardel and Evita Perón! They propose an initiation to the great memories of this city and « its » dance. Visits to the famous quarters of La Boca, Palermo, Boedo, Recoleta, San Telmo, Urquiza, with their conventillos and small hotels, parks, alleys and leafy squares, museums, cafés and milongas where over time the tango has cast its mysterious and sensual web.… You will stay at the hotel Abasto, a hotel with an exclusive tango theme and situated in the traditional quarter of the old market of Abasto. The trip will have the tango as spiritual guideline with its ups and downs, just like in our everyday life. A trip “with emotion” along the tracks of the caminitos tangueros, both of the past and the present, under the cultural guidance of Mariano BOLFARINI, Artistic Director of Tango in Brussels ». Air France proposes a daily flight to Buenos Aires on a B.777-200 with 3 different classes: First Class, Business Class and Tempo (economy) Class. First class has 4 seats that convert in a regular bed of 2 meters by 61 cm with a mattress and duvet. The new seats in Business Class also transform in a bed of 2 m by 61 cm and has a massage function build in for relaxation. In both cabins comfort rhymes with sophisticated cuisine presented with elegance. Tempo Class also presents a seat that inclines to up to 118° with a cushion, blanket and comfort kit including a mask, headphones, earplugs and a refreshing towel. Prices start as from 751 Euro all included. 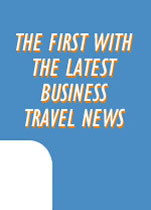 Info and reservations, call 070 / 22 24 66, or go to www.airfrance.be or call your travel agent. The ABASTO PLAZA HOTEL: Situated minutes from the city centre in a charming area: the traditional Abasto quarter, nearby the metro and the Carlos Gardel railway station! Equipped with elegant rooms (126 in total) on 19 floors. The decoration is a detailed tribute to the tango through the ages …And there is also its delicious restaurant «Volver» a throw-back to art-deco : veranda in wrought iron, chandeliers and copper columns. During the day you can lounge by the elegant south orientated pool, early evening one can attend tango classes by seasoned teachers! L’Argentine. Ed Lonely Planet, 2006. L’Argentine aux Ed. Hachette. Coll. Guide du Routard, 2006-2007. Always handy with a great many handy tips and good addresses. L’Espagnol Latino-Américain. Guide de Conversation. Ed. Lonely Planet, 2003. For those who love very contemporary spaces, the City Guide Wallpaper, Ed Phaidon 2006 (www.wallpaper.com) is excellent ! Collected Fictions, Jorge Luis Borges (traduction d’Andrew Hurley). La République Argentine, Par Jean Touchard. Ed. Que Sais-je ? 1961. Buenos Aires Tourism Office: Avenida Santa-Fe 883. Careful ! : try and keep to «Radio Taxis Capital» they are the most secure. T : 54800066.